We can print labels for you! If on-site labeling is not a cost-efficient alternative for your company– or you need to supplement your in-house label printing capability– we offer our exclusive Weber Service Bureau. Our in-house label printing and encoding operations enable us to produce bar code and other variable-imprint labels for you. It’s fast and economical, plus you eliminate the capital, labor and inventory expenses that can be associated with doing it yourself. And turnaround time is no problem. We can have your labels printed and out the door in 48 to 72 hours. For high-volume requirements, the Weber Service Bureau has added a high-quality, in-line digital imprinting capability to our high-speed flexographic label printing operation. 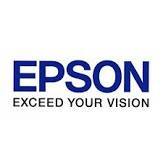 Called Jetrion, it’s a proven, on-press inkjet system that delivers excellent image quality and reliability. 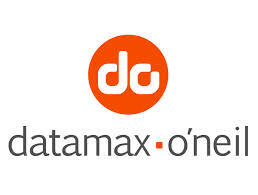 It’s ideal for large- or mid-volume print runs that require imprinting like bar codes (1D and 2D), text, sequential number, expiration dates – virtually any job that requires variable data. 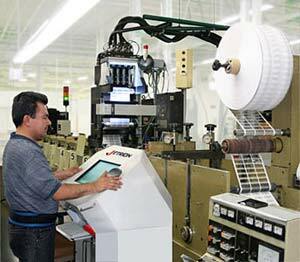 Jetrion operates at up to 250 fpm and provides up to 9.5 inches of potential print width. Print resolution can be up to 316×526 dpi. All bar codes are verified prior to shipping. Lower-volume printing projects can be completed with choice of off-press printing techniques, including direct-thermal, thermal-transfer, and laser. We print bar codes of various size, density and orientation, plus all popular one- and two-dimensional symbologies. 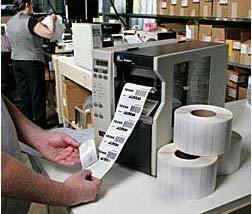 After printing, we scan your bar code labels to ensure they meet specifications. Our quality is guaranteed, of course.